Being an avid tea drinker and all, I am aware it takes a tole on my teeth. For that reason I have been on the hunt to find an affordable and safe product to prevent my teeth from discolouring and staining. That’s where CB12 White mouthwash comes in! Food and drinks such as coffee, tea, red wine and dark berries and many others contain pigmented compounds that can discolour and stain teeth. CB12 White helps to dissolve those and achieve whiter teeth whilst also protecting against any new stains when used twice on a daily basis. 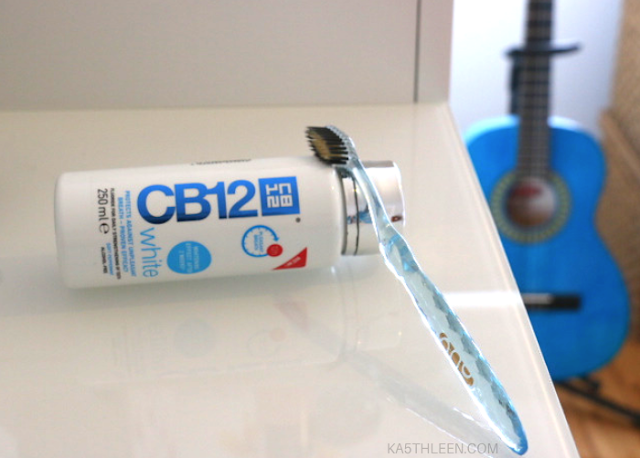 However, unlike a lot of products out there that help towards whitening teeth, CB12 White is a non-abrasive and non-oxidative so it doesn't harm the tooth enamel and actually includes 0.05% sodium fluoride to strengthen the enamel. CB12 White is an easy-to-use, at home, teeth whitening mouthwash that can be easily added into your daily oral care routine. With a peppermint taste, it powers through unpleasant smelling breath and reduces tooth stains whilst creating an invisible, protective shield on the teeth to prevent new stains from developing - even in those hard-to-reach areas. After using this product twice daily for two weeks I am left really happy and pleased with the results. I have noticed a lot of staining has lifted and my teeth are a lot brighter! Unlike a lot of mouthwashes out there, CB12 White has a pleasant minty taste which eliminates bad breath and keeps it fresh for 12 hours. 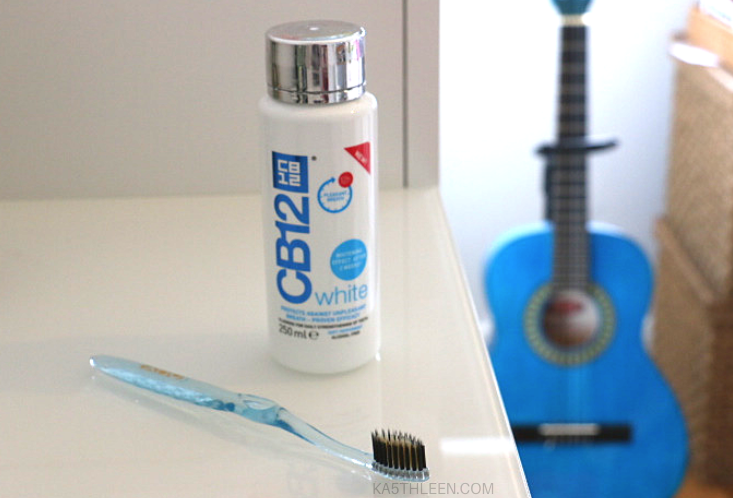 I will keep using CB12 White from now on as my go-to mouthwash and would recommend that you try it out too! CB12 White is not yet on sale but I will update this page when it is. Please note: All products reviewed on this page were sent to me complimentary from CB12. I only recommend products or services I try personally and believe my readers will enjoy. All opinions are my own.